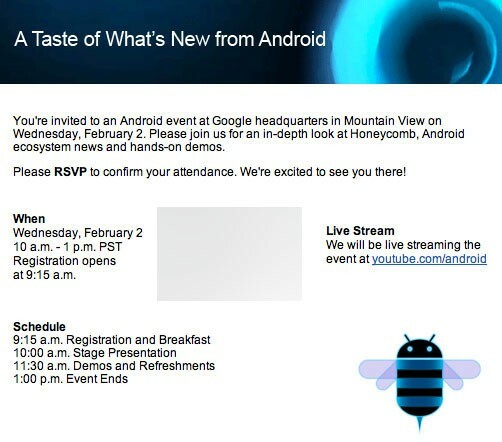 As Engadget reports, Google is ready to show us something new on February 2nd and has invited people out to its Mountain View headquarters to find out what. Please join us for and in-depth look at Honeycomb, Android ecosystem news and hands-on demos. Engadget’s Chris Ziegler believes attendees are in for more than just a recap of what we already know about Honeycomb, and that new tablets could well be in the offing. With not long to go until we all find out exactly what Google’s Android team has in-store, expect rumors-galore as we all try to guess what it is.